Songjiang Tramway has awarded Shanghai Keolis a five-year operations and maintenance contract – Keolis’ first tram contract in China. 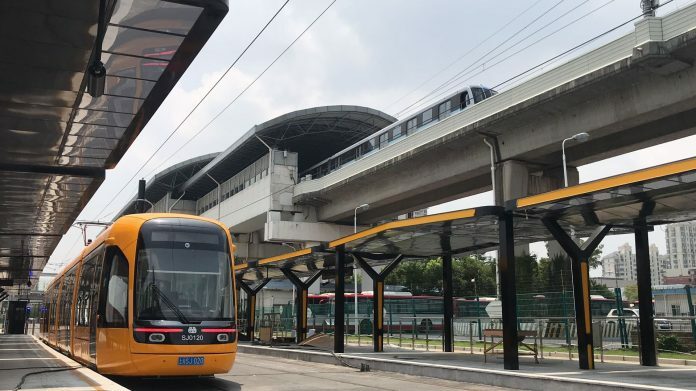 Located in the south-west of Shanghai, this new network covers two lines (T1 and T2) with 46 stations and a total length of 31km to facilitate the day to day mobility of the Songjiang district’s 1.8 million residents. This network will open in two phases. The first 13.9km, and its 20 stations, is scheduled to open on December 25. The second will see the full network enter service in mid-2019. The tram system is expected to carry about 170,000 passengers per day, operating 30 Alstom Citadis at 10 minutes headways when the network first opens. Services will operate from 5am to 11pm and will connect to Line 9 of Shanghai’s metro and to a high speed train service.